Summernats is an Australia phenomenon that has taken place in Canberra (the nation’s capital) for the past 27 years. It’s called a car festival, but I have a feeling that’s being too nice. See, the crowd is mainly (and this is a generalisation) made up of people who think “there’s no replacement for displacement” and that putting a 2500hp engine in a street car is a fantastic idea. It’s a gathering of V8 mad, tyre smoke loving people who build cars that, for the life of me, I don’t understand. Doesn’t mean I don’t love going and having a look though! Exhibit A: What appears to be an old airport baggage truck fitted with a small block V8 and a little extra help (because it needed it…) from nitrous. 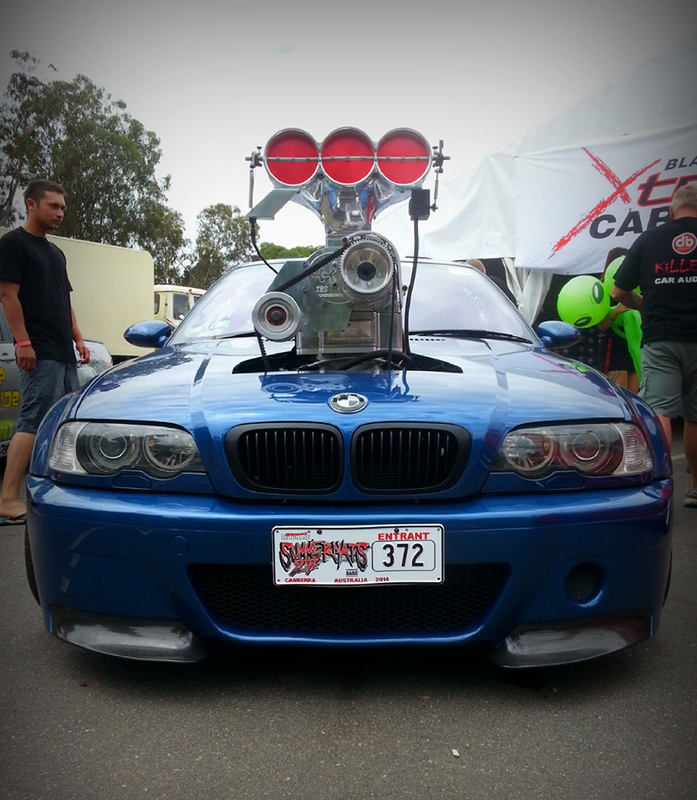 This “thing” was entered in the most popular of Summernats events, the burnout competition. Now if you haven’t seen a “Summernats burnout” do yourself a favour and YouTube it. The basic idea is to blow your tyres, or your engine (usually in that order) while producing as much smoke as possible on a small track in a fenced off area surrounded by drunk, sun-burnt Aussies. A huge amount of cars that take part are built for the sole purpose of destroying tyres and regularly use big block, methanol fed supercharged V8s that should be “under” the bonnet of a pro-street drag car. Exhibit B: The E46 BMW M3 is (in Australia) fast becoming a used car bargain, with decent examples starting in the low $30,000s. What this means is that people don’t mind buying them, throwing away the beautiful straight six and replacing it with a Chevrolet V8 attached to a supercharger (not the other way around as you can see by the size of that blower!). 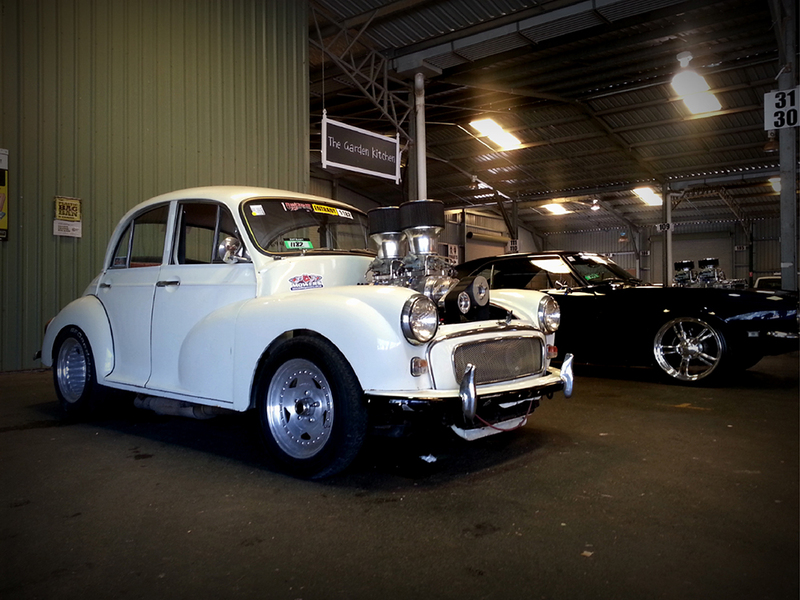 This wasn’t just a show piece either it ran, drove and smoked its tyres all weekend. There is the odd rotary powered Mazda or euro classic doing the rounds and I even saw a Lotus Elise in the show and shine (no word on whether he made it out alive) but the vast majority of cars are mid 70s and 80s Holden/Ford/Chevrolets that are all motor, chrome and show. 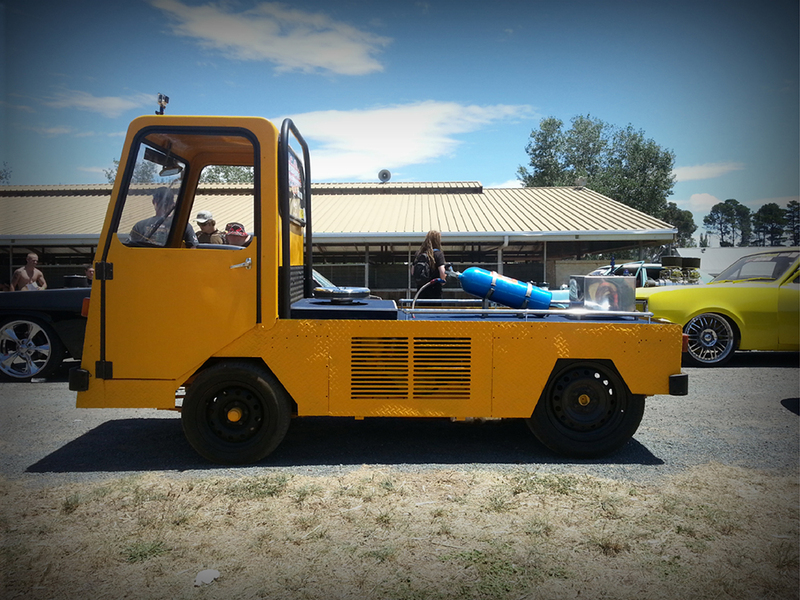 As the saying goes, different stroked for different folks…and thanks to Summernats I can now say I’ve seen a nitrous fed airport vehicle.